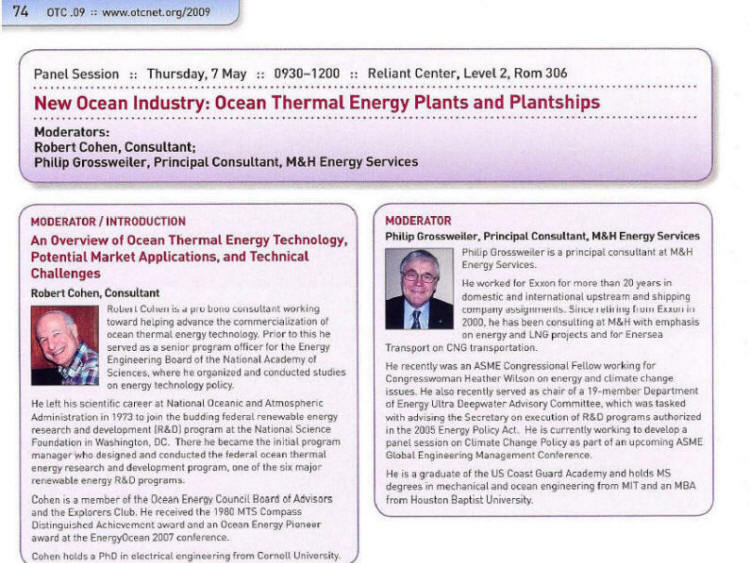 Dr. Robert Cohen, former head of the OTEC program at the National Science Foundation, introduces the panel of speakers. OIA's paper documents the reason why OTEC is ready for commercial implementation now. Click on this link to read the paper.